WampServer is a Windows web development environment. It allows you to create web applications with Apache2, PHP and a MySQL database. 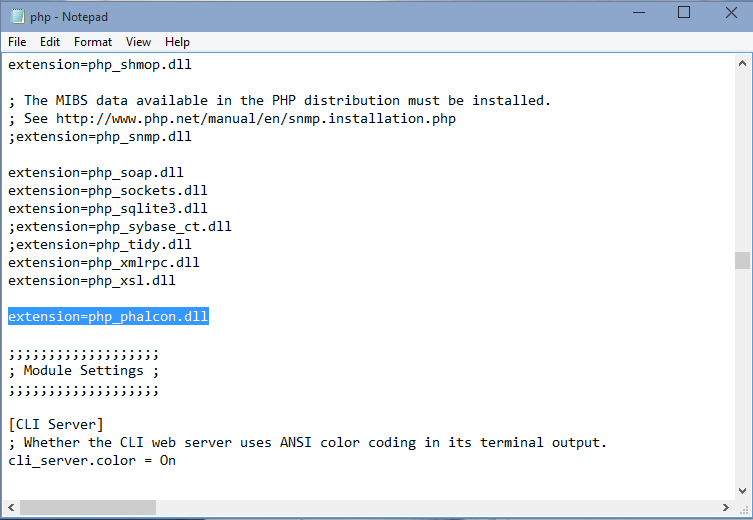 Below are detailed instructions on how to install Phalcon on WampServer for Windows. Using the latest WampServer version is highly recommended. WAMP has both 32 and 64 bit versions. From the download section, you can download the Phalcon DLL that suits your WAMPP installation. 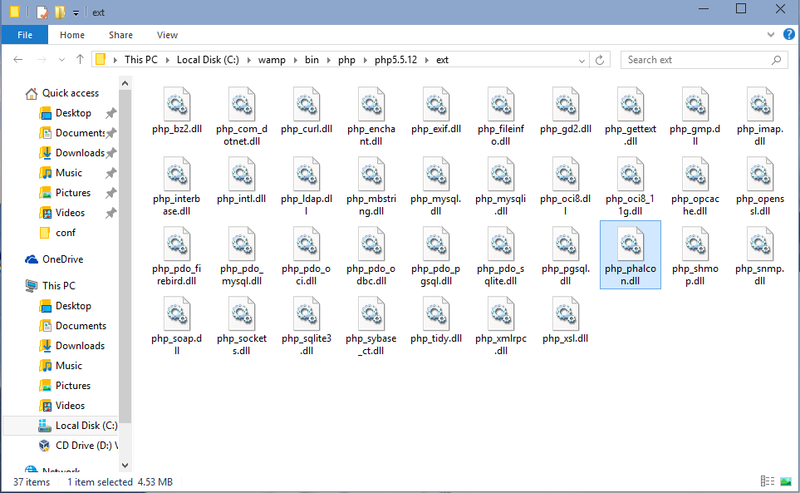 Copy the file php_phalcon.dll to the PHP extensions folder. If WAMP is installed in the C:\wamp folder, the extension needs to be in C:\wamp\bin\php\php5.5.12\ext (assuming your WAMP installation installed PHP 5.5.12). Restart the Apache Web Server. 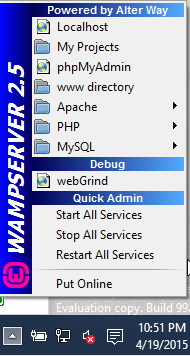 Do a single click on the WampServer icon at system tray. Choose Restart All Services from the pop-up menu. Check out that tray icon will become green again. Open your browser to navigate to http://localhost. The WAMP welcome page will appear. 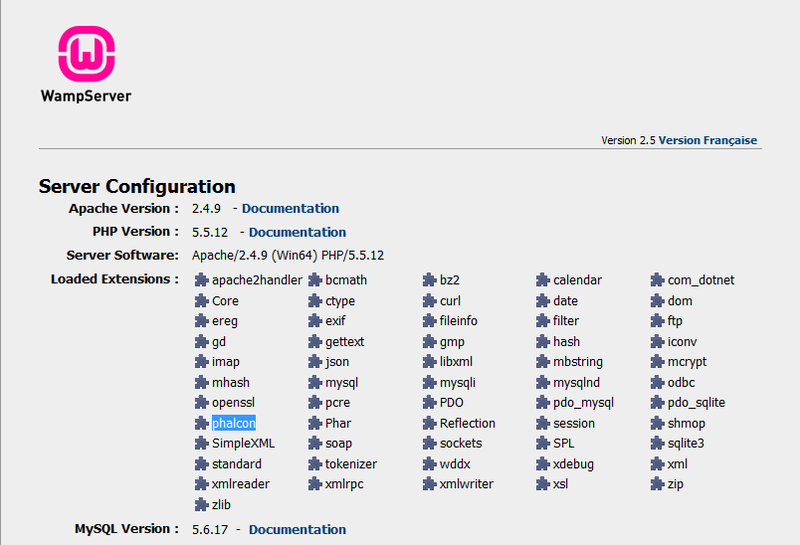 Check the section extensions loaded to ensure that phalcon was loaded. Congratulations! You are now phlying with Phalcon.